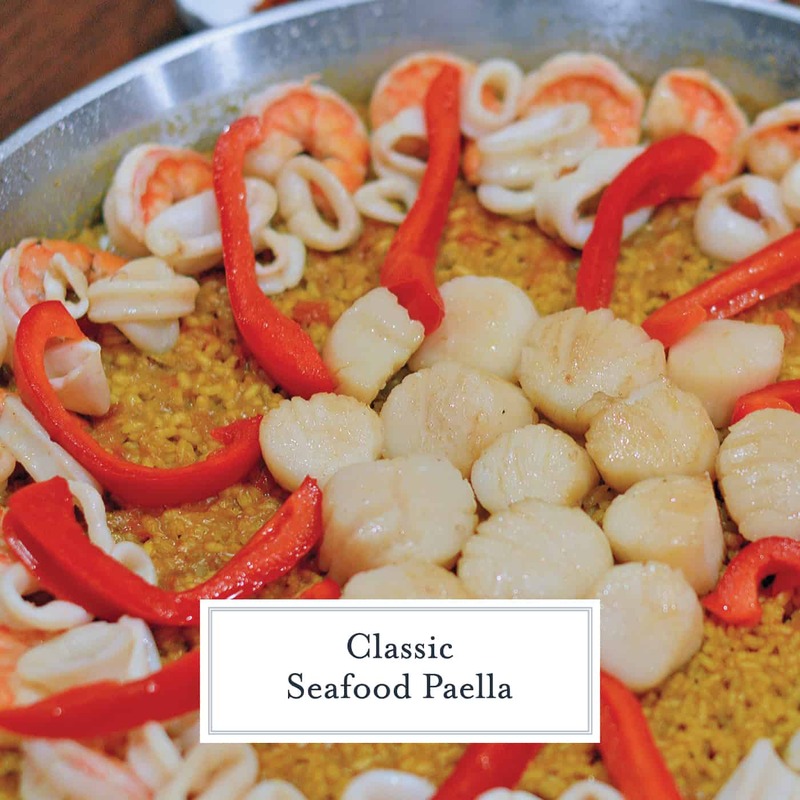 Classic Seafood Paella is a delicious meal to serve on special occasions to family and friends. 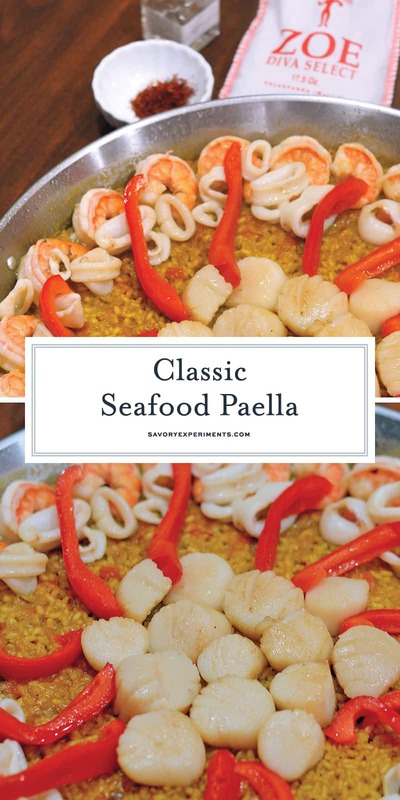 This Spanish dish is loaded with seafood flavors everyone will enjoy! If you’re a seafood lover, you’ll adore this paella. 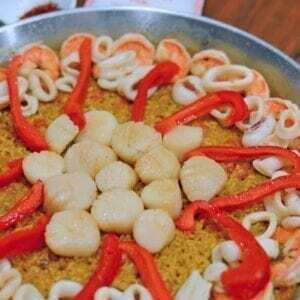 My Classic Seafood Paella recipe gives you an easy, step-by-step paella for the paella novice. Paella is a Spanish dish often made with rice, seafood, chicken, and saffron, which are cooked in a large, shallow pan. I’ve had amazing family-style paellas out and about and wanted to try it at home. Seafood Paella isn’t actually classic. Paella was first cooked over wood fires in the fields of Spain and made with rabbit, chicken and snails. Small amounts of saffron was used for fragrance and color, but not necessarily for flavor. Afterall, saffron was expensive and the hue of your rice could symbolize your stature in society. But first: research! Here is a bit of what I learned. ONE. Most paella pans are flat, shallow, and made of carbon steel. Carbon steel is an excellent conductor of heat which makes for excellent, even cooking. If you do not have one, choose something similar in terms of shape. TWO. Paella is best cooked over an open flame, but an electric stovetop can work. If your burners aren’t large enough, rotate the pan on the burner to make sure each section is getting direct heat. THREE. The rice is important! Bomba is the type of rice traditionally used. However, it is a bit pricey and sometimes hard to find. FOUR. You can substitute arborio rice, a short-grain, Italian rice used in risotto, for the bomba as it absorbs a lot of liquid as well. Other types of rice will get too mushy. FIVE. 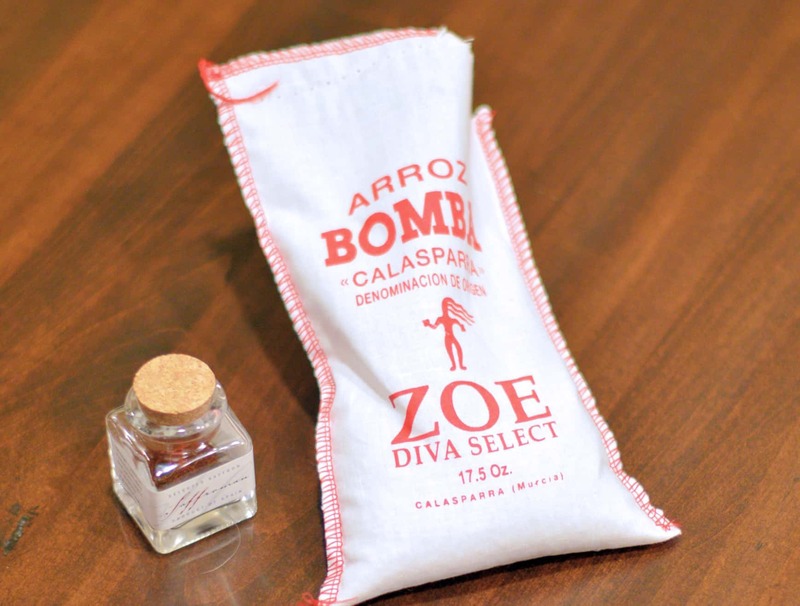 Bomba rice takes approximately 3 cups of liquid for every cup of dry rice and arborio takes 2 cups for every cup of dry rice. 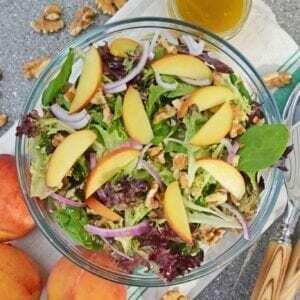 Be sure to modify the recipe if you choose to use arborio. SIX. Saffron is one ingredient that makes paella, well, paella. It is fairly expensive but it is a “must” for authentic flavor and color. SEVEN. Another is the sofrito. 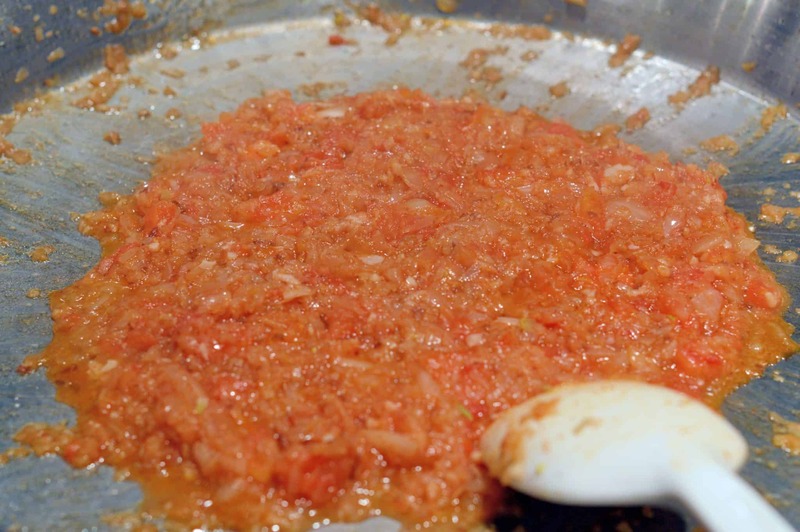 Sofrito is a densely flavored sauce that is made by sauteing grated vegetables and spices together. The sofrito makes this Classic Seafood Paella bold and full of flavor. EIGHT. You can choose a variety of seafood, however, I used calamari, shrimp, and scallops. Clams and mussels are commonly used, but due to allergies, I went a different route. NINE. Paella is not known for being spicy. This is a common misconception. TEN. The key to cooking amazing seafood paella is cooking things separately and adding everything together at the end. 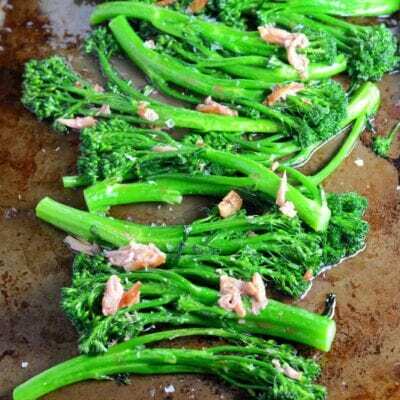 This gives you a complex and impressive dish. ELEVEN. The showstopper of this Classic Seafood Paella is the socarrat, a layer of crunchy, caramelized rice on the bottom of the pan, created by applying high heat at the end of the cooking process. Rice will also cook faster since it is in a thin layer as opposed to being cooked in a saucepan. If making paella the classic way isn’t for you, try my super easy Instant Pot Chicken Paella! 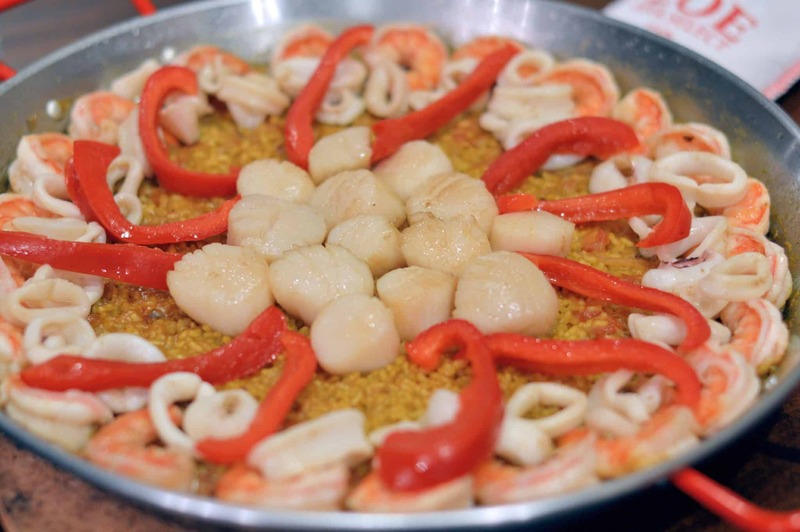 If you're a seafood lover, you'll adore this paella. 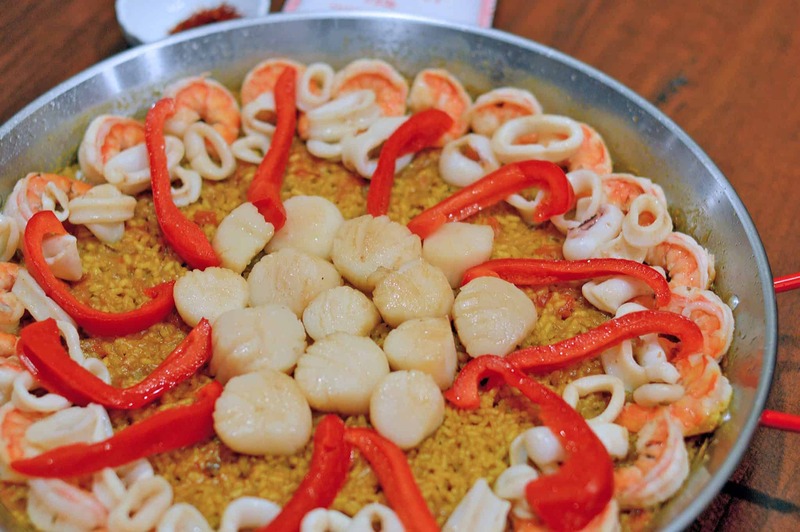 My Classic Seafood Paella recipe gives you an easy, step-by-step paella for the paella novice. Start by peeling shrimp and reserving shells in a medium saucepan. Add 5 cups water and bring to a boil for 10 minutes. While water is boiling, toast saffron threads in a small saucepan for 2 minutes, careful not to burn. Toasting will bring out the robust, aromatic flavor. Set aside. Strain broth mixture, reserve broth and discard shells. Crumble saffron threads between your fingers straight into the broth. Add salt, stir and keep warm. It will develop a deep, red-orange color. Heat 1/4 cup olive oil in paella pan to medium heat. Add raw shrimp, saute for 2-3 minutes or until pink. Remove and set aside. Repeat with scallops, searing on both sides for 2 minutes. Lastly, saute calamari until opaque and slightly shriveled. Set aside. Add two teaspoons olive oil to hot paella pan. 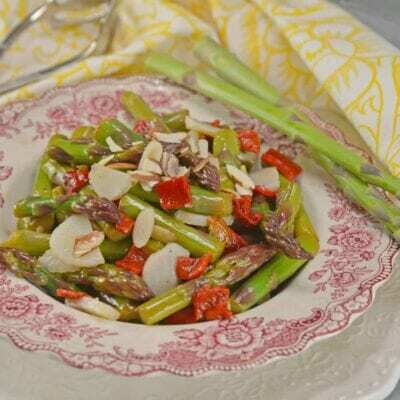 Add red bell pepper, sauteing until tender, but not soft and mushy. Remove and set aside. Next, make sofrito. Add last teaspoon olive oil, grated garlic, onion, and tomato. Saute until the liquid has evaporated and the mixture is thick approximately 15 minutes. Add smoked paprika and stir. If mixture starts to stick, add a small amount of water. Add raw rice to sofrito and stir for 2-3 minutes, until rice is warm and brown. Next, add 4 1/2 cups broth, stir once to form rice into a thin, single layer. Increase heat to medium-high, moving the paella pan around the burner to distribute heat evenly, rotating over 5-7 minutes. When the liquid has reduced to the same level as the rice, taste a grain. It should be al dente, if not, add a small amount of broth and continue to cook. Arrange seafood and red pepper slices on top of the rice. Now, create the socarrat. Increase heat to high, rotating every 1 minute for 4 minutes. If you start to smell something burning, remove immediately. Rice should caramelize and absorb any leftover broth. You might have leftover broth in your saucepan if so, discard. Remove from heat and cover loosely with aluminum foil. Allow to rest and have flavors marry for 5 minutes. Serve with lemon slices (which I forgot in the photo, oops.) Enjoy your Classic Seafood Paella! I love paella! All that seafood looks perfect! this recipe looks amazing. I’m going to print it and take it to Fl with us this summer. I’ve never had paella, but all your tips make me want to try my hand at making one. Looks so good! Saffron is so hard to find by me. I wish it were more accessible – I’d be trying this for sure! Paella is so good! This looks amazing! I’ve been wanting to try making paella but never have enough people to eat it ha! I need to save it for a party! I have never heard of this before. But it sure looks pretty! HOW do you have time to work full time and create this kind of luscious recipe? I’m in awe of you. Very carefully and little sleep! I made this on a week night, too. Still not too keen on the calamari! However I could add more shrimp to this naturally gluten-free meal! This is one of my favorite dishes. I feel the need to order it whenever I see it on a menu. Deelish! I could probably swim in this pot of paella! I love seafood. It’s my “go to” next to pork. Oh, man… How I wish my family loved seafood more. I would serve them paella all week. Ok, not all week. Maybe 3 days a week. That looks so good. I love seafood, going to try this one out! Scallops are my favorite so I will have to try this dish. Beautiful display! I’ve never had paella. This looks really pretty though. I love Paella. It’s the way all of the flavors just meld together…delicious. Yours looks like it was a success! What a beautiful dish! I’d love to try paella one day. Hi Jessica, love paella, what a wonderful recipe! Great site you have. I love paella and I order it a lot at restaurants. I’ve never attempted to make it at home though. Will have to try! I have never tried Paella, but love seafood. That looks yummy and will have to check it out the next time I see it on a menu. i think i could handle this. i hope. i’ve never had paella! I’m really into seafood lately so this is perfect!! I love seafood. This looks awesome! Such a beautiful dish. 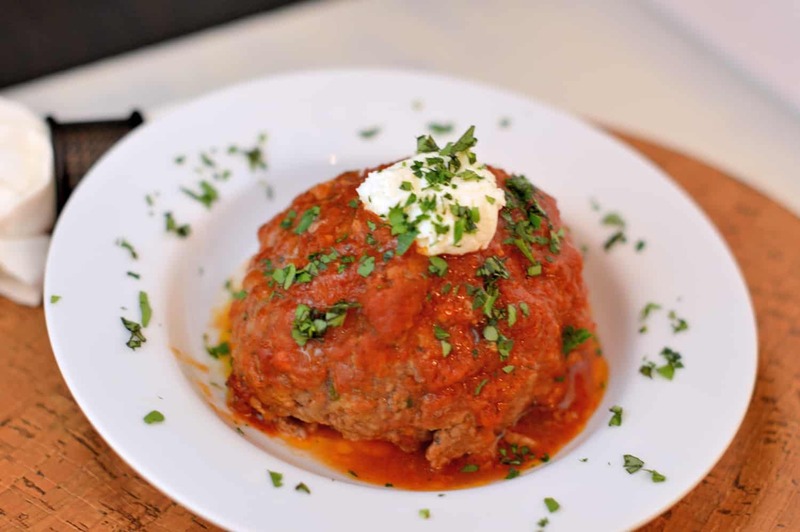 I always order it at The Columbia restaurant here in Florida…looking forward to making this at home! I’ve never heard of pella before. Looks yummy and I’m all for any food with seafood! I seriously want to be invited to your house for dinner! My mouth is watering and my oldest and I love seafood. I don’t eat seafood but your pictures make it look really tasty! Great instructions too! My husband would love this. He loves seafood and I’m allergic to shelled fish. I know I’m missing out on some delicious foods! I’ve never made paella. It seems like something I’ve just heard of on Top Chef! But I like to try new recipes. Looks great! Must give this a try sometime! That is so pretty I wouldn’t want to eat it. But, then I would because I know how tasty it would be! OH! I haven’t had a Paella in years! 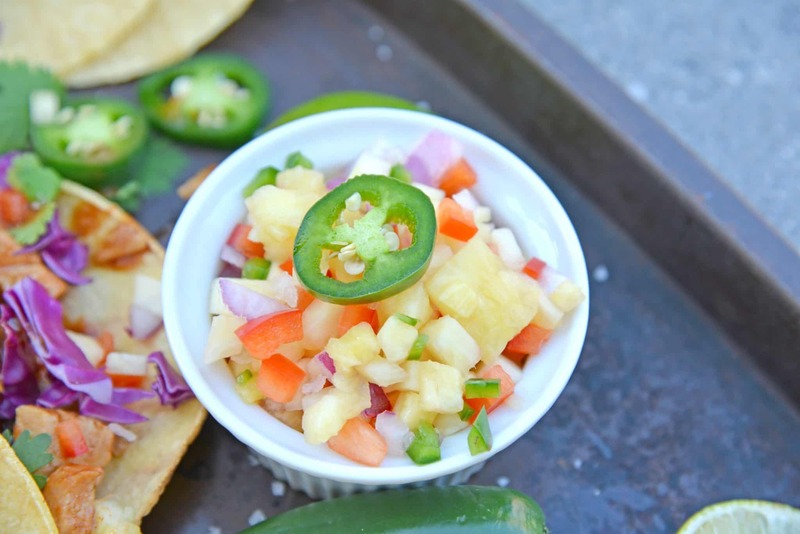 This looks really delicious, and I can’t wait to try my hand at making it. I just had the most amazing paella in Miami last week. I really need to try making it again at home. I love your tips! I haven’t tried making my own paella, but I need to! yes yes yes. I had my first REAL Paella last fall with a friend and it was incredible. THanks for the instructions for how to make my own! I’ve always been curious about paella and how to make it and what the dish actually looks like. Thanks for all the great info. That looks delicious! I love shrimp and scallops! Oh my husband would go gaga for this! I have printed it and will be trying it out! Thanks for sharing! 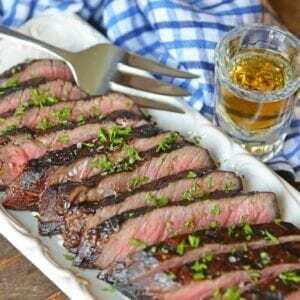 Great looking recipe. 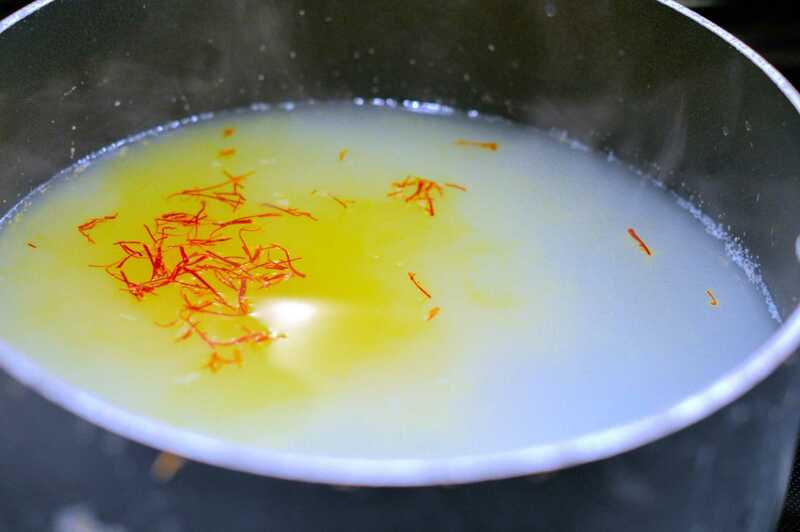 I love to cook with fresh saffron. We actually don’t eat seafood in our house. I know, I know….a New Englander who doesn’t like seafood lol. Robin, I’m amazed every time you say this! The good news is that paella can also be made with chicken or sausage- just cook it up ahead of time and use chicken stock/broth. That looks so amazingly good! I love paella but have never tried to make it on our own. When my boyfriend and I were in Spain, we took a paella & sangria cooking class. It was so awesome! We didn’t actually cook the paella ourselves but we were led through a market to pick out all the fresh ingredients and then were shown how to make it (but the chef made it in a huge pan for everyone). It was one of my favorite experiences I had in Spain. Paella is so tasty!! YUM! This looks so good! I’m always afraid to make seafood for some reason. I have not tried that I guess. Interesting and looks good.